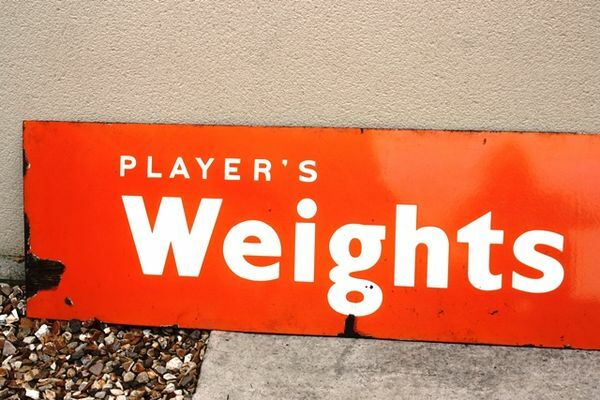 Classic Player`s Weights Tobacco Enamel Sign. Classic Player`s Weights Tobacco Enamel Sign. 178cm x 41cm.